Last year saw the opening of ‘Book Street’ on Nguyen Van Binh, which seemed to herald a new era of book consumption in Saigon. Littered with shady cafés, trees and beautiful bookshop fronts it sits at the centre of one of the most symbolic spaces in the city. Next to the colonial institutions of the Cathedral, the Opera House and the Art-Deco Post Office it’s perfectly visible to locals and visitors alike, painting a quaint picture of middle class Saigon; an educated, cultured people with leisure time in excess. 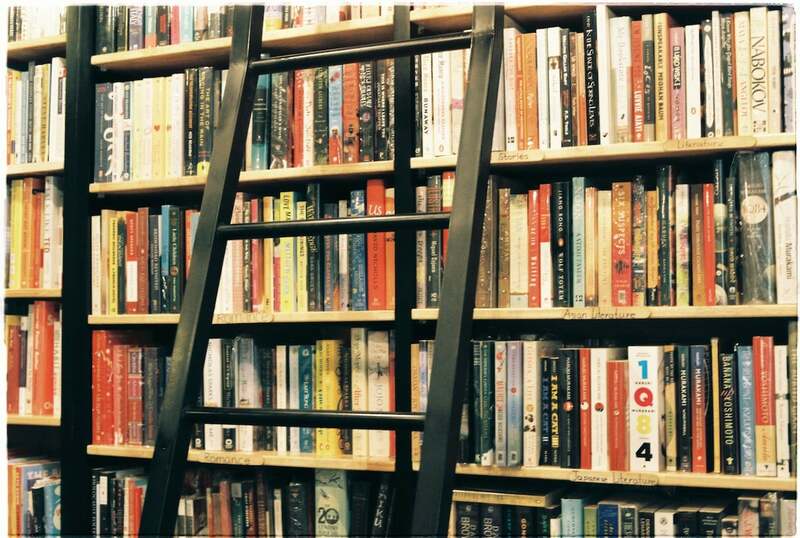 When I first visited the spot with a close friend she ran from shop to shop with sheer joy, holding her cheek to fresh book covers, excited by the sheer quantity piled up behind glass windows before putting them back one by one. There’s no doubt it’s a dreamy sight for Saigonese booklovers, but stay for long and you might notice that there are more people posing for selfies than actually buying books. With sales as low as ever, the street seems to serve as an elaborate new stage for the city’s favorite pastime: dressing up and taking pictures. However, performing the consumption of literature isn’t consuming it and the reality is, hardly anyone is reading. What do Vietnamese people think about reading books? There has never been a heyday for book culture in Saigon. In a recent article in Asia Life, the PR and Marketing manager of a major publishing house described how reading books ’just isn’t something that Vietnamese people do… they think it’s boring.’ Whilst the narrative of saving book culture from the ravages of the internet and fast information is a global phenomenon, Vietnam has the extra challenge of instilling a love of books, not just saving it. 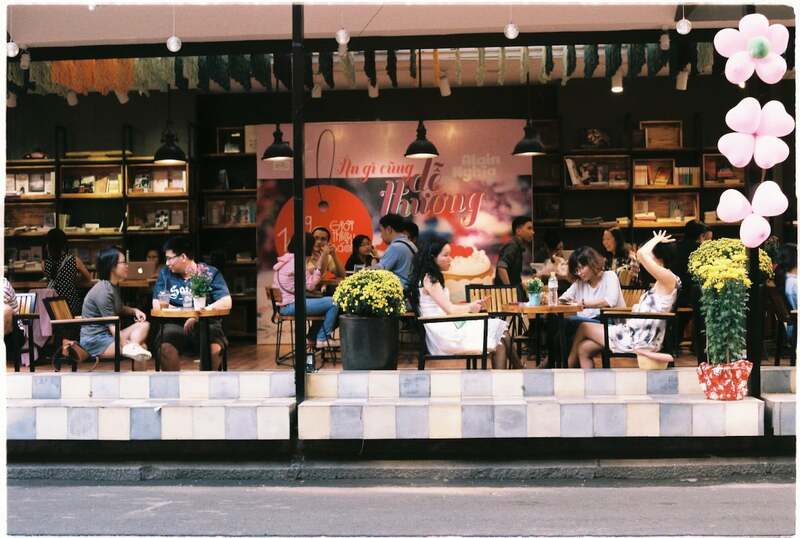 As such, café spaces and bookshops have become central to building this culture, demonstrating a lifestyle and creating an environment ‘offline.’ They each spoke about the importance of reading as an alternative to online, where it is less easy to respond to a Facebook notification and get caught in an endless afternoon scroll. Like most things in Saigon, the real battle for books is a decentralised and varied effort, driven by a few individuals across town. I caught up with the people trying to define the role of reading in the city to find out why they think it’s so important. For Thang, businessman and owner of Read & Drink on Trang Quang Dieu in District 3, reading is all about personal development. He talks energetically about its potential to contribute to the growth and success of young people in Vietnam today. The café-come- reading-room mostly houses books on soft skills, business and economics in line with Thang’s own interest and specialism – most are from his own collection or donated from friends. The truth is, getting young (or old) Vietnamese to engage with reading is no easy feat. Thang has a series of elaborate strategies to foster engagement, including workshops in skills and leadership, as well as a free English club. At least by getting people to participate he might be able to instill some of the content of his learning. Meanwhile, across town at Boa Books, co-owners Thuy and Ngoc have a more purist, book-lover perspective. They just love books and want people to have access to and to read originals, as opposed to translations. ‘There are many things that can not be translated to Vietnamese,’ Thuy explains. 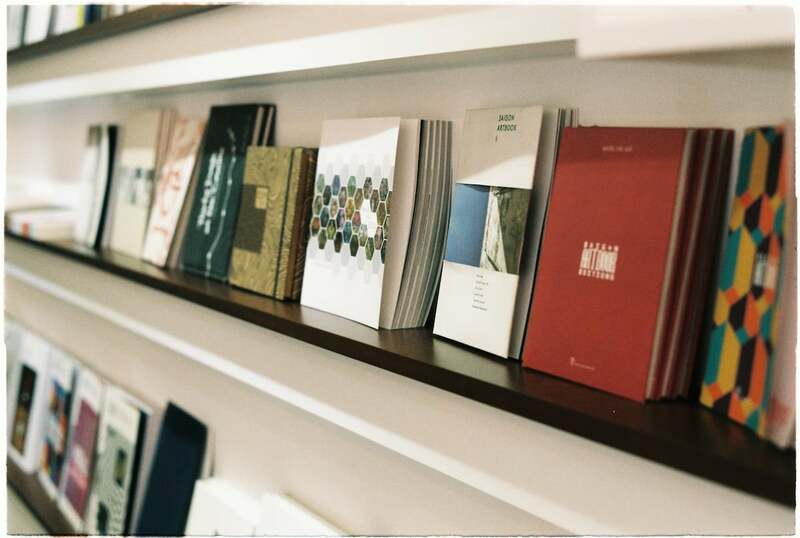 Founded in 2013, Boa Books sits in a small apartment above ‘Turtle Roundabout’ (at the cross section of Pham Ngoc Tach and Vo Van Tan) where lies the best collection of foreign books in town, hand- picked from the US and the UK. With books lining the walls from floor to ceiling, small desks and soft seats, it is a private, introverted and domestic space – somewhere people will actually want to read all day. 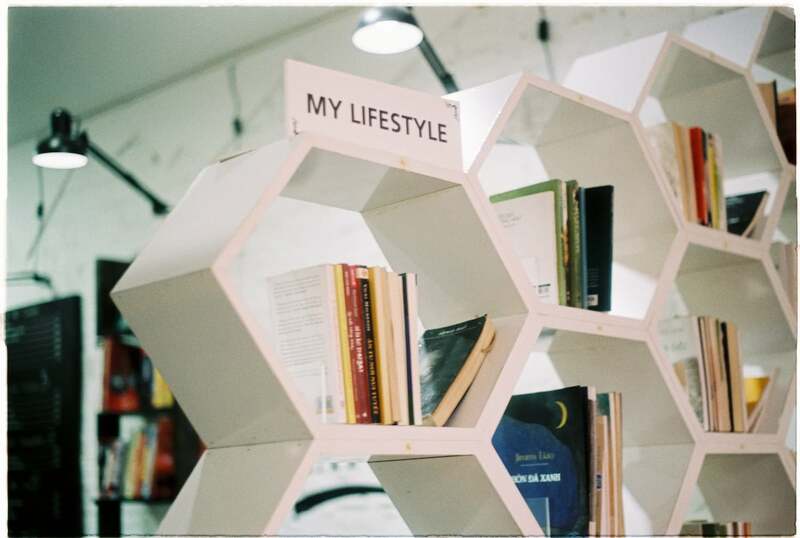 The atmosphere itself is perhaps the best advocate for reading, projecting a lifestyle that a generation engaged with self-image and individuated consumer culture inherently understand. Inevitably, some kids come in, buy a coffee and use it as yet another set for their online alter ego. In fact, she was so concerned by this that she made a deal: ‘If you sit and read a book and don’t go on Facebook and then write a review for our wall, you will get a discount.’ Thang articulately gets to the crux of this issue: ‘They need to understand that reading is just for themselves, it’s not for anyone else.’ Although the act of reading doesn’t have currency in social media, its value is more enduring. 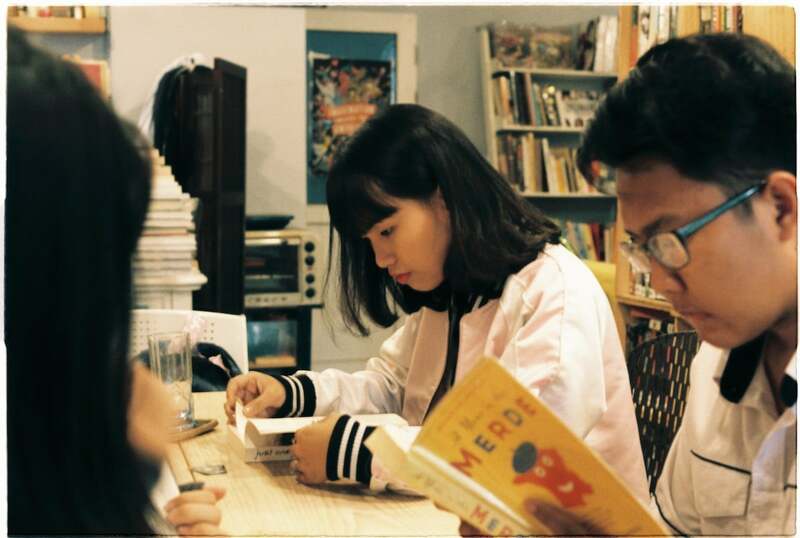 Where can you find people who are fostering a culture of reading in Saigon? 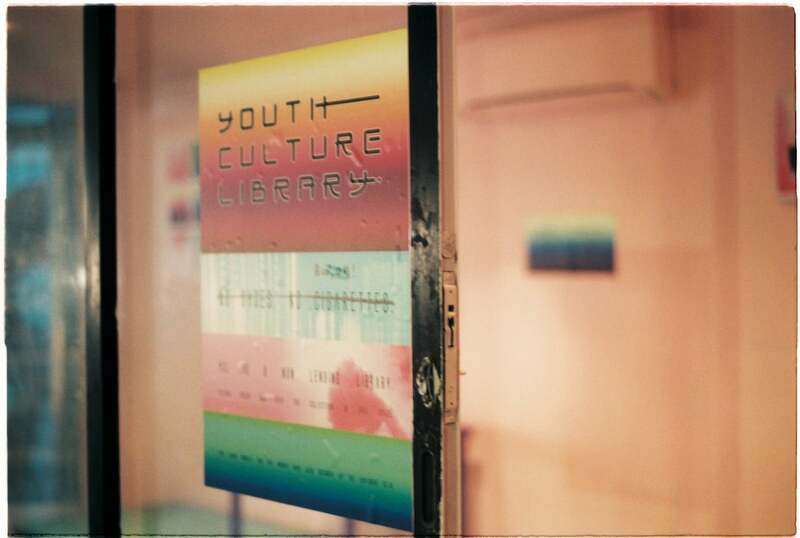 The idea of books as a lifestyle or even as ‘alternative’ is actually one of the main motivators for the Youth Culture Library or ‘YCL.’ For Tom Sanders, co-founder (with Ed Wineberg) of the YCL, alternative culture is essential to helping kids develop, crystalise their adolescent identities and be expressive and experimental. 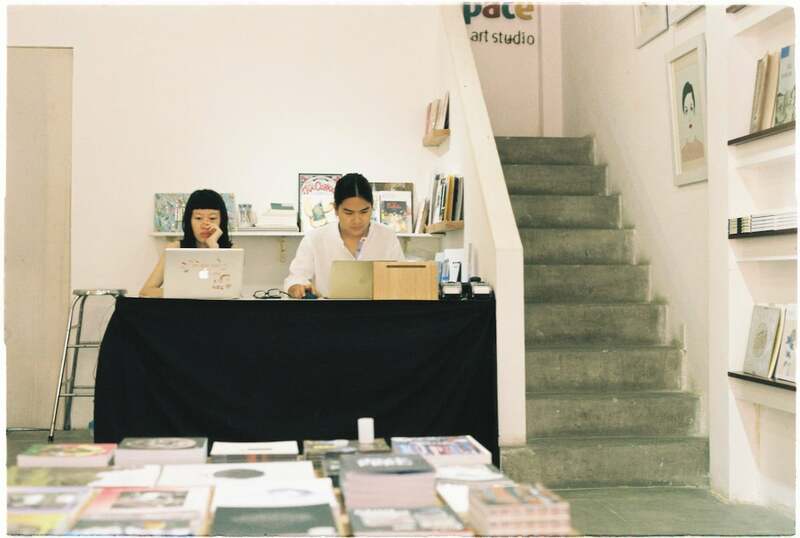 Founded in 2016 the YCL is a collection of around 150 comics, zines, short stories and artworks distributed across a few locations around town: M2C Cafe, Chao’s Down Town and Saigon Outcast, with another space in Ha Noi. Tom hopes that the primarily visual media are more accessible than long form prose and could serve as a gateway to short stories and fiction. In vivid colours, the spaces that Chao’s Art Hostel and Saigon Outcast bring are artistically and appealingly designed to lure in the cool kids and creative types. Like Thang and Thuy, Tom has strategies to prevent the YCL from becoming simply another background to a host of rotating profile pics. Running events such as zine making workshops, people are encouraged to participate, interact and get their hands dirty. The best and worst quality of these initiatives is that they are philanthropic. Both Thang and Thuy expressed a will to ‘give back to society’ and support their passion projects with other paid work. This will be the crux of whether reading culture is sustainable in Saigon: if these initiatives can run for long enough to foster enough demand to create a market. 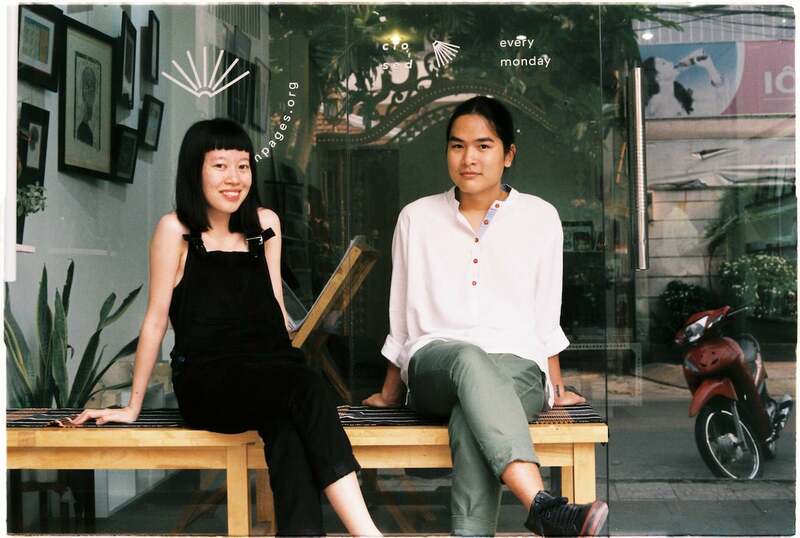 Enter Long, like Thuy, Thang and Tom, Long began his foray into printed matter as a charitable enterprise: he describes that he and his co-founders at Saigon Artbook wanted to ‘give back to the city.’ However, he has since taken things to the next step. By charging for Saigon Artbook 6, he was able to ‘up’ the production value and take it to international book fairs with other products to promote Vietnamese talent internationally. He is now the co-owner of In Pages, a new ‘Independent Bookstore and Publisher’ on Le Van Mien in a sleepy corner of Anh Phu in District 2. For Long, ‘offline’ as he calls the format, is worth developing: ‘The great thing about offline is that you can touch it, I call it “real.” Online you have so much distraction. Looking at a book is quiet and intimate, you give it 100% attention, it’s a physical space that you can create.’ Like Thuy and Thang he sees this as an antidote to the distracted format of online, but not just reading books, producing them too. For many of the people I spoke to, their parents didn’t read or own books. As Thang described of his parents ‘they grew up in a pre-war time, hence eating and survival were more important.’ For those trying to a forge a book culture, books have been an independent discovery they are eager to share with others hence why they each described a desire to ‘give back to society.’ However the initiatives pushing engagement will need to transcend the philanthropic stage. Hopefully, by making books visible, the performance of consumption will translate to real consumption and reading culture will transform the young minds of a generation IRL (in real life).